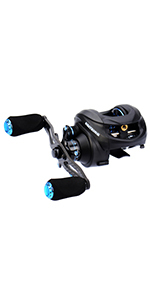 KastKing Speed Demon Baitcasting Fishing Reel – World’s Fastest Baitcaster - 9.3:1 Gear Ratio – 12+1 Shielded Ball Bearings – Carbon Fiber Drag – Affordable - New for 2017! LIGHTNING FAST - The world's fastest baitcasting reel! KastKing Speed Demon baitcasters break the speed limit! 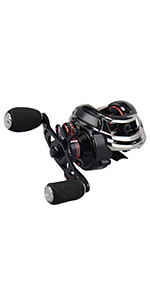 A truly super speed baitcasting reel with 9.3:1 gear ratio and precision matched brass gears. 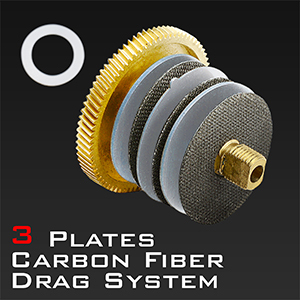 ULTRA SMOOTH - 12 + 1 MaxiDur shielded ball bearings for effortless casts and smooth speedy retrieves. 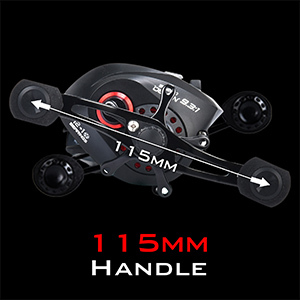 UNIQUE - State-of-the-art 3 disc carbon fiber star drag system with 13.2 lbs/ 6 Kg drag power handles big game fish. 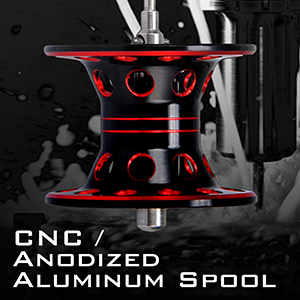 TOTAL CONTROL - Revolutionary design, easy adjustment, tournament-ready trilateral magnetic brake system and cross drilled aluminum spool eliminates backlashing. FREAKY FAST - Speed Demon baitcasters burn the bait! 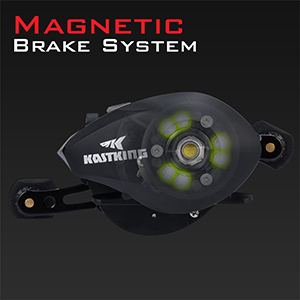 When speed matters; reach for a KastKing Speed Demon. In speed and price…it’s unbeatable. 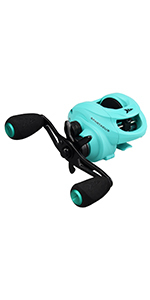 A KastKing Speed Demon fishing reel is an excellent choice among baitcasting reels as a low profile casting reel for freshwater bass fishing, trout fishing, or ice fishing. 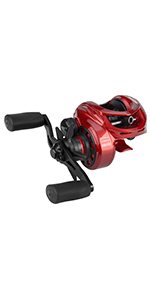 If you are holiday shopping for fishing reels as a Christmas gift, or holiday gift, choose a baitcast fishing reel by KastKing. 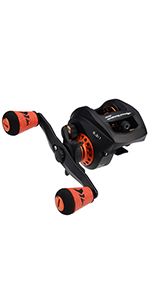 Any angler would love to add KastKing baitcasting fishing reel to their fishing tackle collection. KastKing keeps fishing fun. LIGHTNING FAST – The world’s blazing fast baitcasting reel! 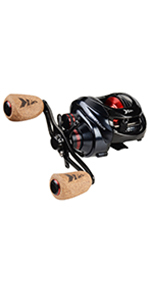 KastKing Speed Demon baitcasters break the speed limit! 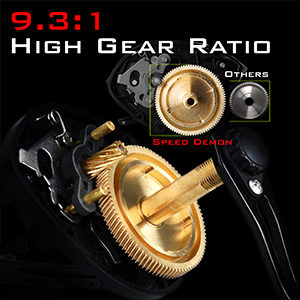 A truly super speed baitcasting reel with 9.3:1 gear ratio and precision matched brass gears. How long dose the free shipping take?